Maybe I’ve read too many classics of sailing literature, but I sometimes find myself yearning for the leaky wooden yachts, seat-of-the-pants navigation and quiet solitude of cruising in the early 20th century. Then I look round at today’s fast, snug, weatherly yachts and pinpoint satellite navigation and I’m not so sure. Nostalgia ain’t what it used to be. I blame the writing of Frank Cowper. You could say that he was the man who started the cruising lark as we know it. He was one of the few amateur sailors who, in an age when any self-respecting yachtsman had a full paid crew to do the sailing for them, cruised his heavy yachts single-handed around the coasts of the UK and Northern France from the 1870s. 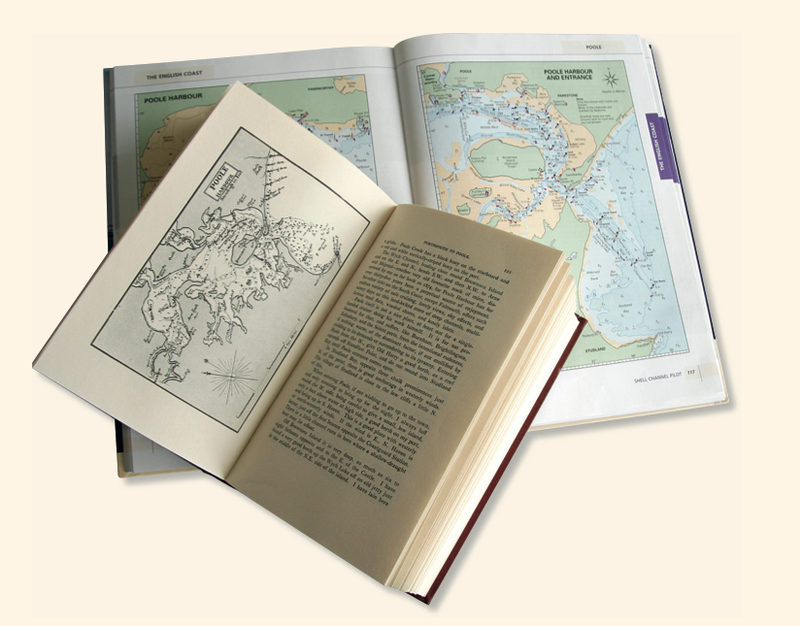 His cruising convinced him of the need for clear, concise pilot books tailored for the amateur yachtsman. Despite having little experience of navigation, he found himself a publisher and an ex-Dover fishing lugger, Lady Harvey, normally sailed by a crew of three, and set to work. His hired hand, a mere boy, left soon afterwards and he learned to sail her alone – no mean feat when the main boom was 30ft long! 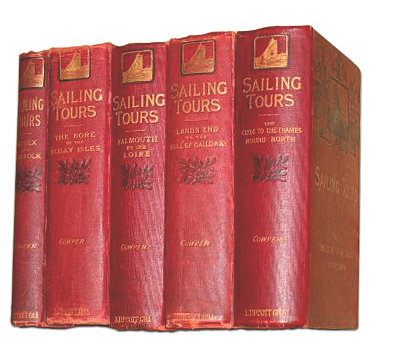 A number of other craft followed over the years, and five volumes of Sailing Tours, covering Essex and Suffolk, the Nore to the Scilly Isles, Falmouth to the Loire, Land’s End to the Mull of Galloway and the Clyde to the Thames, were published and revised from 1892 until 1909.
for today’s yachtsman to visualise. There were few facilities for visiting yachts, and things such as lightships, buoys and lighthouses were sparse. His books are the foundation for today’s detailed, full-colour pilot books upon which we all rely. 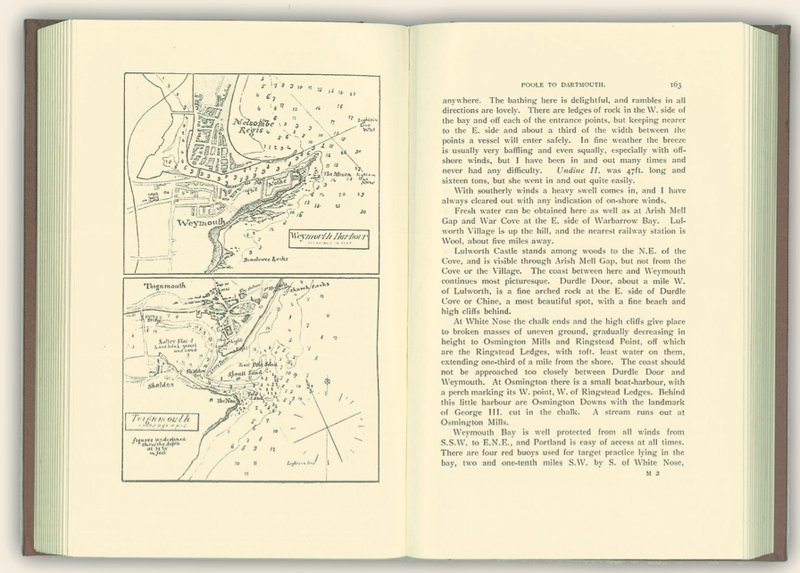 Each section of Cowper’s coast is covered with pilotage notes and a ‘gossip’ section, in which he recounts his own voyages and experiences: a fascinating kaleidoscope through which to view the ways in which our coastal ports and towns – as well as how we sail – have changed over the intervening century. Cowper recalled an almost total lack of yachts when he started cruising in 1878, but by the time the second editions came out in 1909 things had changed: ‘Now every creek from the Alde to Helford River is crowded with small craft; the Crouch is blocked; the Hamble throughout its whole length is chock-a-block. The sport of cruising has become one of the most popular pastimes of the nation.’ Cowper played a large part in this by blazing a trail as an amateur, venturing where very few had gone before him. 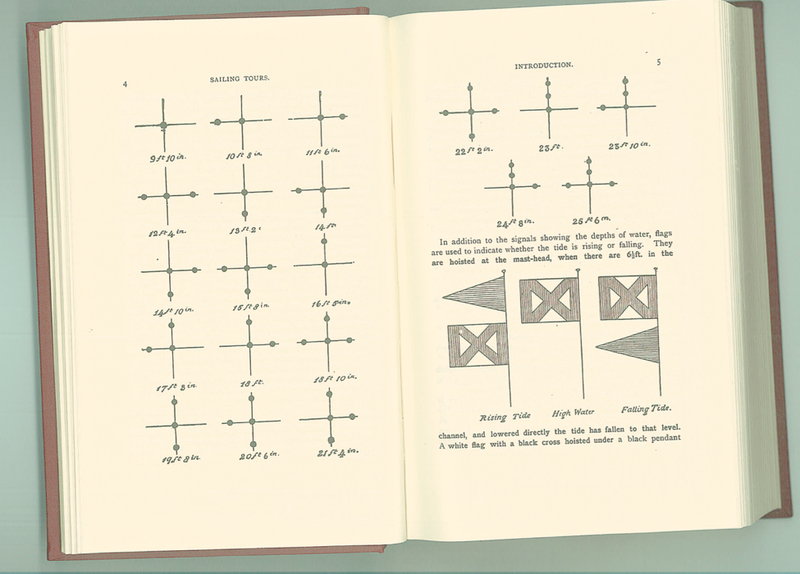 In the depths of a January gale, with the wind and rain pounding on the roof, I poured a large drink and spread out charts, dividers, The Shell Channel Pilot and Cowper’s Sailing Tours, with which to plan the next year’s cruise down-Channel. Soon I had discarded the Pilot, neglected the dividers, rolled up the chart and was lost in Cowper’s colourful descriptions and playful narratives of places I could recognise, as well as those that I hoped to visit. Passage planning could wait until the summer. 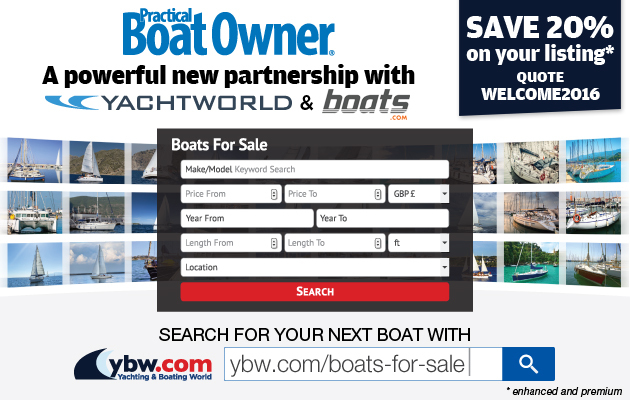 More than a century later, it’s still a crowded mecca for all things boaty: but should Cowper, who died in 1930, see it now – with its gargantuan Swanwick Marina – he wouldn’t believe his eyes. But he might still prefer it to Portsmouth. On any trip down-Channel, Weymouth is still a popular stop. Cowper liked Weymouth. ‘It’s a good place to lie… the harbourmaster shouts directions from the pierhead… but there is very little room inside.’ He thought that it would be much improved should the Great Western Railway’s plans for the harbour, with development of the pier which we can still see today, be undertaken – supposing that yachts are actually allowed to use the harbour. ‘The tendency is to keep harbours for the special use of those making them,’ he complained. Portland Bill has become no less dangerous since Cowper’s time. I recall trying to make ground to the west in a light-wind race and hearing the ominous rumble of the breakers as the tide carried us towards them. Cowper was similarly scarred. ‘In passing Portland Bill I have always (except once) kept in as close round the bill as possible. In this way I have always had quiet water – except twice’, he wrote, mysteriously. 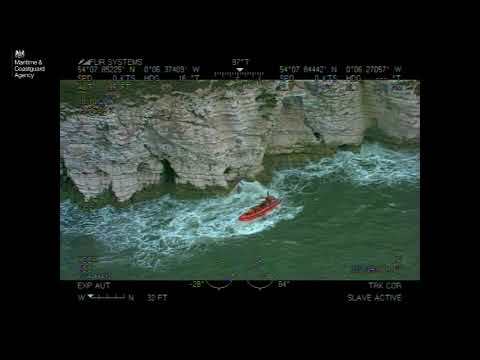 We lucky modern-day sailors have GPS and computer-modelled tidal charts to show us the set of the tide as it flows around the Bill: Cowper had the Shambles Light Vessel, which lay to the tide where a pair of Cardinal buoys sit now, hooting mournfully at passing craft. He has an ultra-simple method of tidal prediction which we can still use today. Instead of tide tables giving ultra-accurate times far into the future, he simply gives the time between high waters – for Portland it’s 6 hours and 35 minutes. So if you know the high tide for any fixed day, you can work out the tide times for any other day. It’s simple, but it works. From Start Point, many will head for Plymouth. ‘Plymouth is another Portsmouth, only much more beautiful,’ wrote Cowper. Today, the town and its tower blocks appear less than beautiful from the water, but the surroundings and Plymouth Hoe are certainly impressive. Cowper describes the approach as easy, with the imposing landmark of the Mewstone rock sitting to the east of the entrance. ‘I have passed between the land and the Mewstone,’ wrote Cowper, ‘but I do not recommend it – very little is saved and a good deal may be lost’. His extensive cruising and experimentation shines through in his book – if there’s a narrow rocky channel, you can be sure that he will have sailed through it and can advise his readers from first-hand experience. Pilot books have the same effect on us today. The pilot book’s dire warnings of the dangers off Pointe Corbiere in Jersey nearly dissuaded us from visiting in a fresh Force 6 last year. But in the event, all was well, and we scooted round with two reefs slabbed in the main and the washboards tied in. that of the entente cordiale, no one really paid attention to the small British cruising yacht in France. Or so he thought. Reading Cowper’s tales of derring-do, presented as matter-of-fact accomplishments, our boating feats today seem somewhat diminished. The elements might still be wet, cold and uncomfortable, but often, down below in the snug, dry cabin, the chart plotter shows us our route and position to within a boatlength, and a modern diesel engine is ready at the push of a button to take us out of trouble. Nonetheless, Cowper covered some serious miles in her before eventually selling her in 1895 to design and build his ideal cruising boat, Undine II, which became his favourite yacht. 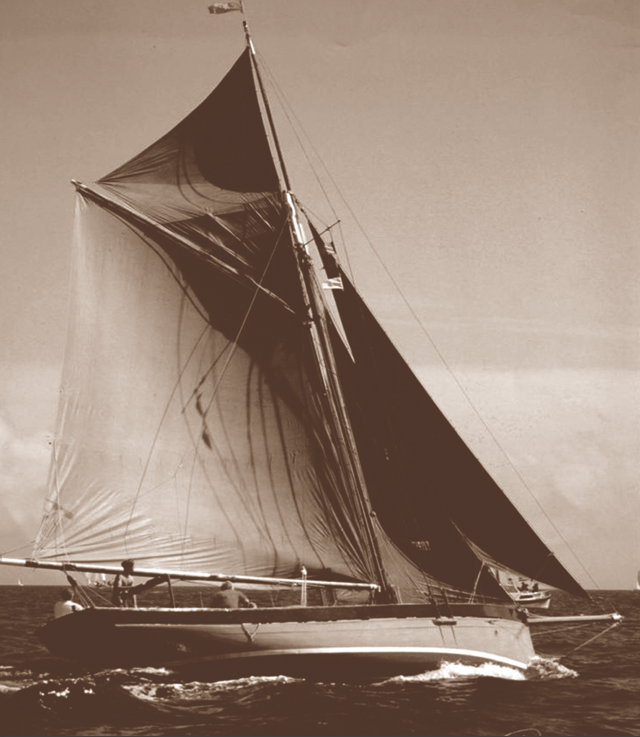 He rigged her as a ketch and sailed her single-handed from the East Coast and along the French, Belgian and British coasts to the Loire, before selling her in 1899.
the 41ft cutter Ailsa. 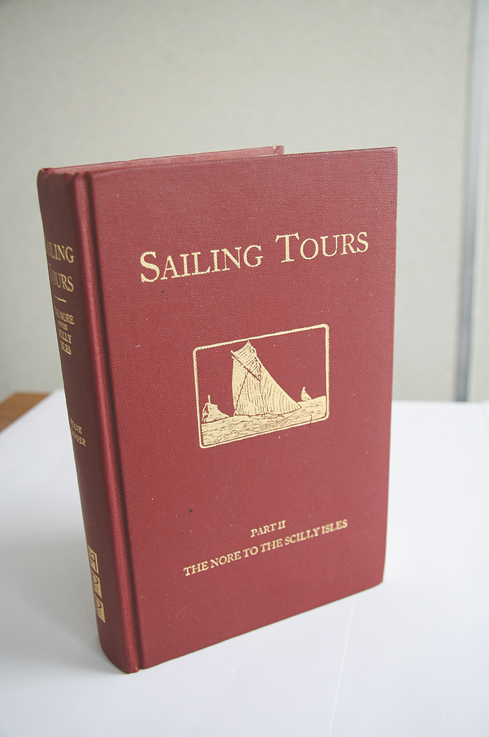 In these he explored and meticulously updated Sailing Tours as well as writing a host of sailing yarns and books. The grand old man of British yachting died in a convalescent home in Winchester in 1930. It’s the least that we, his sailing descendents, can do to get out there and enjoy the waters that he so carefully documented. That we still do so is in no small part thanks to the efforts of one Frank Cowper. Thanks, Frank. Bacon: ‘If fond of good bacon, I advise them to take a store with them. They will find none of it in France. Eggs in plenty, but no ‘am and eggs for breakfast unless they have a stock of prime Wiltshire with them’. Frank Cowper’s books are currently out of print, but you can still buy them in secondhand bookshops and online. Originals are pricey and rare – but, as we go to press, there is a full set for £500 in Cambridge. They were reprinted in the 1980s, and these are more common, often selling for around £10-£15 each on sites such as Amazon.co.uk and Abebooks.com.